Does Wing Chun have ground fighting? If you think about ground fighting, what comes to mind? Maybe something like the guys here in the octagon. Slightly off topic but when working security in Blackpool at an MMA event I had both the fortune to meet Tyson Fury and the misfortune to have to tell him that he wasn’t allowed into the venue as he didn’t have the correct badge and ID, he is 6′ 9″ and weighs 18.42 stone (2.06 m 117 kg), he is a great guy, very polite and knew I was only doing my job. I am sure I could outrun if I had to! Luckily this oversight was resolved very quickly and he went on to enjoy the show. But, what has all of this to do with Wing Chun and ground fighting? If you look at many Wing Chun websites and videos will won’t often see much in regards to ground fighting or a ground game, but that does not mean that a ground game is not discussed in classes or practiced. Wing Chun has a set of principles that will work whether you are standing, restricted against a wall or on the ground. Being on the ground is not where you want to be though, is it? 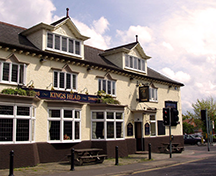 Imagine you are out with a group of friends, you have had a great day, you walk past a local pub, the Kings Head, time for a quick bite to eat, maybe a drink or two before getting a taxi home. Sounds like a plan. 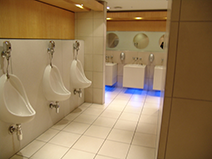 As the evening wears on one of your friends says he had a slight altercation with some guys in the toilet and although they were a little intoxicated he thinks it is best that we leave. 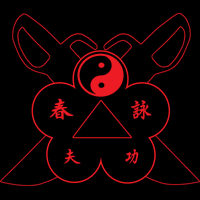 As all martial artists have no ego, of course, we will leave food, drinks and spoil our evening, just because of some intoxicated individuals. Because that would be the right thing to do, right? The reality here would be that as a group we wouldn’t leave, it is our right to enjoy an evening have a few drinks and go home. If trouble were to kick off, it would either be in the car park after closing time or in the toilet and depending upon the “intoxicated individuals” it wouldn’t be a fair fight. Can you imagine trying to apply an armbar or submission on a urine-soaked restroom floor or in a car park, on a concrete floor where there are stones, broken glass bottles, and a few others just watching the fight and probably recording it on their phones instead of trying to help? 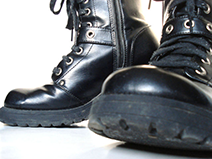 As you are on the floor you get a size 10 boot stomp on your face, this is game over. Ground fighting in the octagon is a very useful skill and can be a lifesaver in a situation if you find yourself on the ground and an 18 stone person is sitting on your chest, but in the octagon, there are rules, medics, oxygen, doctors and a referee, no glass bottles, no stones, and no size 10 boots coming to stomp on your face. 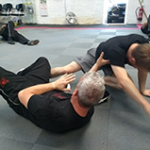 At the Halesowen Wing Chun school, we do practice ground fighting. 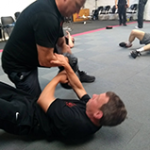 We are lucky enough as a school to have Aiki Jitsu black belts that train with us and we can explore many ground fighting options.